Background: Following the Libyan revolution that began in February 2011, there is a clear desire and expectation within Libya for justice and accountability to form part of the backbone of Libya’s transition from dictatorship to democracy. In particular, Libya has to address past violations during the conflict in 2011 (and subsequent events) and during the 42 years of the Gaddafi regime, to support an effective transition from authoritarianism to democracy and the rule of law. To reach these goals, it is important for the nascent Libyan civil society have the capacity and the knowledge necessary to engage effectively with political actors and with grassroots constituencies in the conceptual development and implementation of transitional justice solutions. NPWJ’s work in Libya: NPWJ has been working on the Libyan transition since early 2011 and has been on-the-ground since early October. 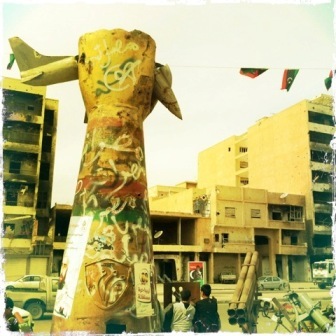 It has a permanent presence in Tripoli since March 2012 and has been working to create a network of Libyan actors to engage different sectors of Libyan society on transitional justice. Its work in Libya combines both the provision of transitional justice information (both in cooperation with the institutions and in partnerships with civil society), including on outreach and documentation, with the research and analysis of public expectations and perceptions. On the civil society side, NPWJ aims to help build and reinforce capacity of Libyan actors to play their role in incorporating accountability, human rights and the rule of law in the democracy transition and post-conflict reconstruction of their country. To that end, NPWJ is working together with Libyan civil society and human rights activists to build their knowledge and capacity in addressing transitional justice and to work on accountability processes and to assist the Libyan authorities with their transitional justice work, including the investigation and prosecution of crimes under international law and massive human rights violations. NPWJ work is also designed to provide a tool through which areas of the country or specific types of violations that are under-represented can be identified and addressed, particularly vulnerable groups such as women, young people and children. NPWJ is engaging civil society from across the country, partnering with a wide range of organisations, including both more established and emerging ones, who have political vision but still need to strengthen their capacity on transitional justice and on the role they can play.NPWJ has organised a number of successful outreach campaigns on transitional justice across Libya, including a very successful Youth Day, organised in collaboration with the Libya Youth Union. NPWJ has also facilitated the establishment and ongoing work of an informal Steering Committee, comprised of a diverse range of Libyan civil society, including NGOs, academics, lawyers and media, public authorities and opinion-leaders. On the institutional side, NPWJ is working with the Ministry of Justice, and its Higher Judicial Training Institute, in providing training and expertise to the judges and prosecutors who have been charged with the enormous task of dealing with those suspected to have committed or directed atrocities during the conflict, and during the previous regime. One hundred and thirty-seven judges and prosecutors have so far received training about the basic components of both international and Libyan law as it relates to the atrocities committed, discussed strategies for collecting and analysing the large quantities of information needed to successfully prosecute such complex crimes and covered a number of important practical issues. NPWJ has also organised six colloquiums with civil society and the legal profession about Libya's transitional justice process and judicial reform. NPWJ has also established a trial monitoring program, which is being run in collaboration with the Tripoli Bar Association and aims to promote transparency and accountability within the Libyan judiciary. NPWJ facilitated training in The Hague and a study visit to Tunisia for three senior lawyers who then returned to Libya to share their experience in trial monitoring principles with junior lawyers. The conclusion of this training was the establishment of the Libyan Trial Monitoring Network, which aims to engage lawyers, civil society and the media in monitoring Libya's trials concerning the conflict and previous human rights violations in a professional and constructive manner. Funds have been generously provided by the United Kingdom Foreign and Commonwealth Office, the Italian Ministry of Foreign Affairs, the government of Netherlands and UNDP. Brochure on Libya and Transitional Justice (Arabic), January 2013"
18 Feb 2015 NPWJ organises a seminar on "Challenges and priorities of Transitional Justice policies in the Libyan and Tunisian cases"
For further information, please contact: Alison Smith, NPWJ International Criminal Justice Program Coordinator (on asmith@npwj.org; + 218 919386116 or +32-(0)2-5483-912), or Giulia Cappellazzi, NPWJ Libya Project Coordinator (on gcappellazzi@npwj.org or +218911476934).